I disagree with the length of those shorts. For once, I think I prefer the US/EU cover. Like Great Volleyball, Great Basketball invites teams from all around the world to participate in traditional basketball competition. Naturally, the winning country will gain total control over the world. The question is, who shall conquer? Will it be Cuba, renowned for their speedy feet and the finest ’53 Thunderbirds? Or will Czechoslovakia dominate with their superb shooting skills and reserved sensibilities? Perhaps Japan will show the globe what “good fundamentals” are all about. Eight teams, one world, countless different belief systems, innumerable deaths. All for a game. Just one dance routine away from a North Korean spectacle. Outside of the cheerleaders’ outstanding half-time show (see above), Great Basketball isn’t the epic Olympic-style basketball royale that it wants to be. There’s no Tournament mode, just a series of four-on-four games until you’ve beaten all the opposing countries (two-player, as usual for early sports titles, is the best mode in this game). There are no real moves to perform, just traditional passes and shots. There are, however, fouls aplenty. Barely touching a computer opponent will result in a foul, which results in a free throw for the opposite team. One of the most frustrating aspects of this game is trying to steal the ball without fouling. 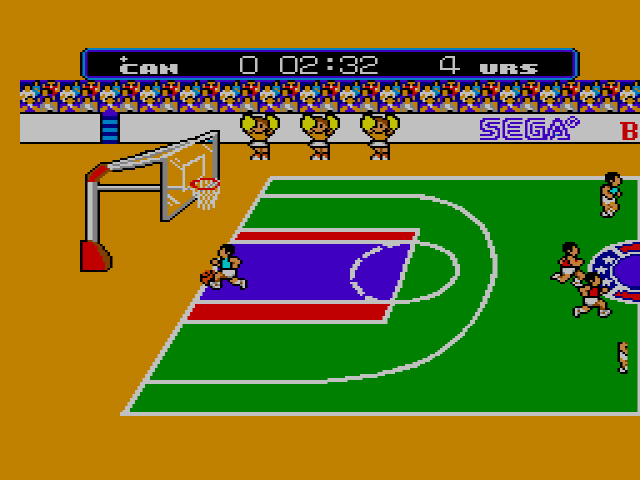 The computer teams can steal just fine, but if I get anywhere near the ball when the computer is holding it, I’m “charging” or “pushing” or “getting all up ons.” One time, though, I stood in front of the computer opponent while they were dribbling and the ball miraculously appeared in my hands, as if the game knew it was in the wrong for not allowing me to try to take the ball without violence. In a game of life-or-death basketball, one Canadian stands alone. The simplicity of the game means the controls aren’t needlessly convoluted. In Great Volleyball, you controlled all of your team at once – or at least that’s how it seemed, given the lack of a cursor over any player. In Great Basketball, you’re in control of one person only. When you pass the ball to someone, you’re immediately in control of them, as it should be. Shooting is also intuitive. You jump with button 1, then hold the button down until you’re ready to let go of the ball. I’m pretty much bad at all sports games, so it’s a testament to Great Basketball‘s easy-to-learn controls that I was able to make a 3-point shot from half-court. Blocking is non-existent, though, as is the aforementioned stealing. Great Basketball isn’t a bad basketball game, particularly if you can get around the plethora of fouls and inability to steal. 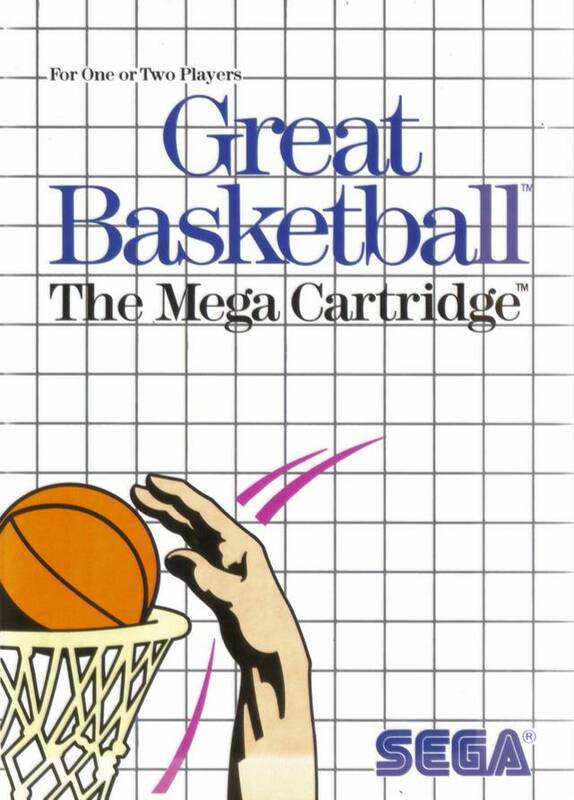 In fact, it’s probably one of the best 8-bit basketball games ever, next to the more in-depth Tecmo NBA Basketball. The game is visually pleasing, controls well, and there’s absolutely no slowdown or sprite flicker. All the same, Great Basketball grew boring after only a couple games. Whether that’s due to my all-around disinterest in sports or sports games, or whether Great Basketball really does lack a hook that would make you want to keep playing, I can’t say. All I know is, playing as Czechoslovakia only takes you so far. Like many an Eastern European, I need a little more meat to satisfy these bones. Previous Article Merry Christmas and Happy Holidays! Pretty much spot,on here. I used to have this. And yes it played decent enough. There was a hard line between stealing and fouling. But it was occasionally possible. So to me the presentation was ok, the controls worked. You could have fun. 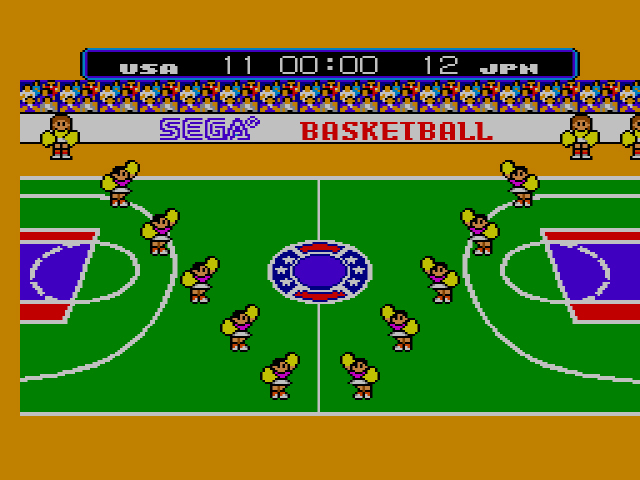 But what I really wanted was an NBA basketball not a FIBA or Olympic simulation. 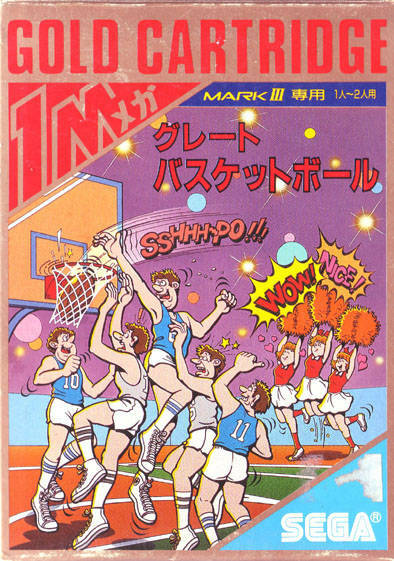 I realize there is no NBA in Japan, but here international style basketball was almost non existent. I found myself just going over to my friends house and playing Double Dribble on NES more often than not. Sure it wasn’t technically NBA eigther, but it was an NBA style game with faux NBA teams. So I beat the game and won the world championship, played two players a few times, and largely never played this again. At least with pro wrestling that wasn’t branded,myou had a plethora of moves and interesting characters. This game just sort of defined bland basketball. 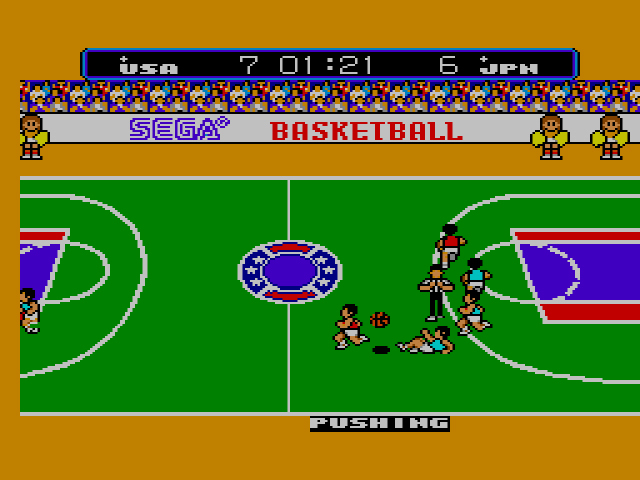 Double Dribble was worlds better. The three-point line and the lane in this game are of the then-current NBA configuration, though. Growing up, my brother and I played Great Baseball, Great Football, and Great Ice Hockey on our SMS quite a bit (Baseball was easily the best of those three). For whatever reason, we never had or even rented this one… maybe because we didn’t start playing basketball until a little later in life. Anyway, I played this a bit last night, managed to win the first game, and was set up to win the second game with a last second lay up… only to get whistled for Charging. Damn.